13/05/2013 Lesjöfors has, with effect from May 1, 2013, signed an agreement to acquire the Slovakian spring manufacturer Centrum B. Centrum B has a broad base of customers, mainly in the automotive sector and related industries. Lesjöfors is one of the largest spring manufacturers in Europe and manufactures one of the widest product portfolios on the market. In 2012, sales were approx. EUR 175 million and the company has around 1200 employees. Lesjöfors operates in Sweden, Norway, Finland, Denmark, England, Germany, Slovakia, Latvia, Russia, China and Korea. 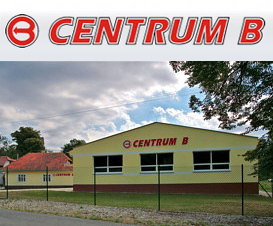 Centrum B employs around 25 people, and sales in 2013 are expected to be approximately EUR 1.5 million. Germany, the Czech Republic, and Slovakia make up Centrum B�s main markets, with customers also located in several other countries. As a qualified, spring producing partner in an attractive cost position, the acquisition will allow Centrum B to strategically compliment Lesjöfors� German companies. Centrum B's production areas include wire springs and wire forms. For Centrum B, benefits of a new owner include access to new market channels and expertise from Lesjöfors� global organization.